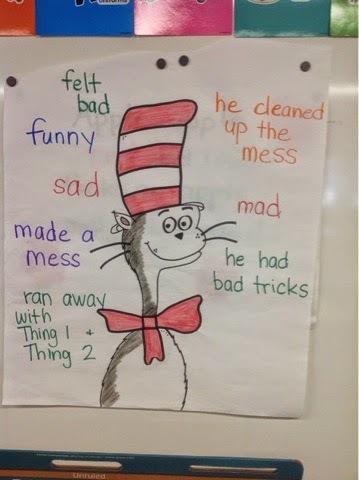 This week we had lots of fun with Dr. Seuss and his book characters! We started off the week reading The Cat in the Hat. At the end of the story I asked my students to describe the cat and what he did. 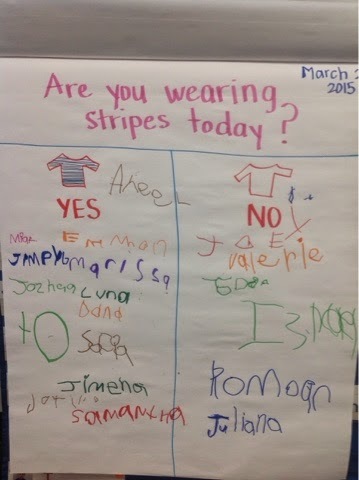 On Monday the students were encouraged to wear stripes. We identify patterns in our outfits and in our environment. 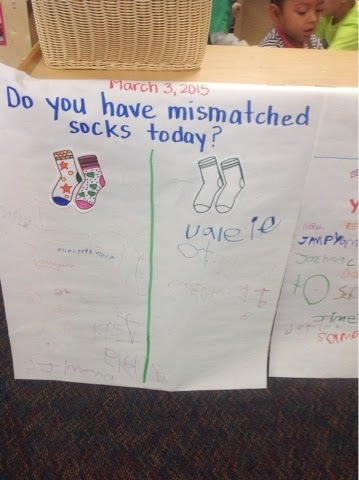 On Tuesday we wore mismatched socks! Here are my girls in action. 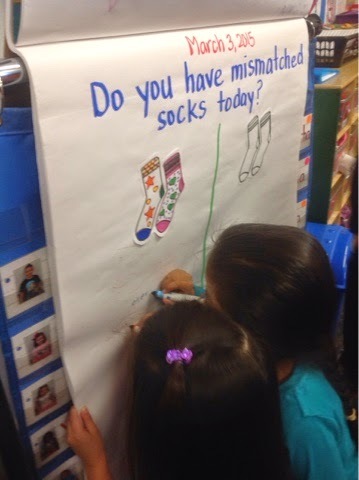 By Wednesday, my students were asking me for the chart and where should the write their names. They got the concept pretty quickly! 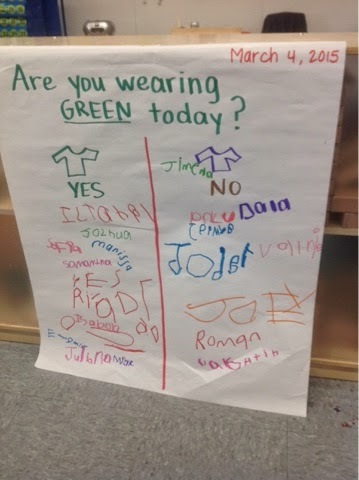 And on Wednesday, we wore green - one of my favorite colors! 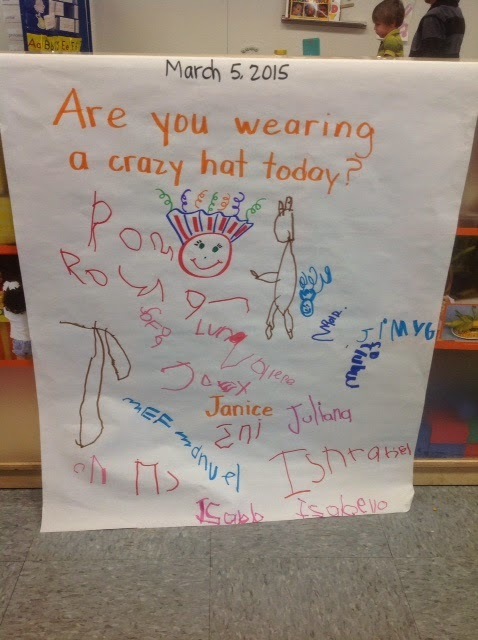 On Thursday we wore crazy hats! And we all did! At the end of each day, we reviewed the chart for that day, counted how many students were in the YES and NO columns, and identified which group had more and less.